Was U.S. Nationals a Meet Dominated by Favorites or Underdogs? Regardez ici toutes les course du 5e et dernier jour des Championnats des Etats-Unis 2018 à Irvine. Chase Kalisz s’est emparé du titre dans le 200 4 nages à Irvine en 1’55s73. 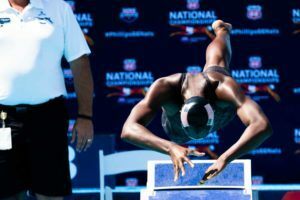 The best photos of the 2018 Pan Pacific Championship team from U.S. Nationals in Irvine, CA. Kathleen Baker’s virtual trophy case is about to get more crowded. Check out our full list of U.S. Nationals award winners here. 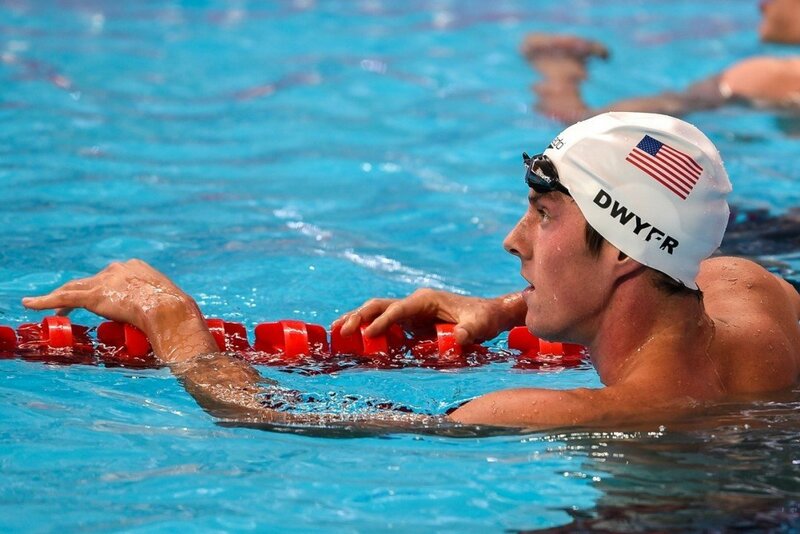 3-time Olympic medalist Conor Dwyer is scheduled to swim the 100/200 free and 200 IM at U.S. Nationals next week in Irvine, California. 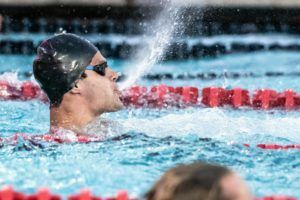 The 29 year-old has been mostly absent from competition in 2018, only competing in two meets – last week’s Los Angeles Invite and April’s TYR Pro Swim Series in Mesa where he only swam prelims of the 200 free (1:49.45). 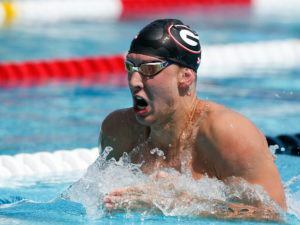 In L.A., Dwyer put together a string of good performances in the 100 free (49.38), 200 free (1:47.28), and 200 IM (2:02.37). His 1:47.28 is the 2nd fastest performance by an American this year behind Jack Conger‘s 1:46.96 from the Atlanta Pro Swim Series in March. 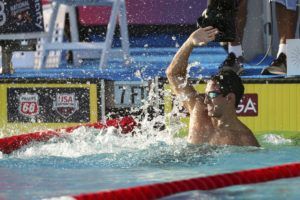 Oddly enough, Dwyer implemented the same strategy in 2017 – swam one race in April (prelims of the 100 free in Mesa), a full schedule in early June at the Santa Clara Pro Swim Series, and then Nationals in Indianapolis where he qualified for Worlds by way of a 4th place finish in the 200 free (1:47.25). There’s no doubt he has the raw talent to throw down a 1:46 200 free on a moment’s notice to qualify for Pan Pacs this summer. However, when will we see Dwyer back at his full potential? 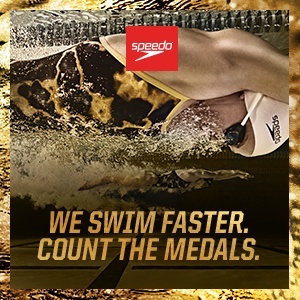 He is the bronze medalist in the 200 free from the 2016 Rio Olympics (1:45.23) and just missed the podium in the 400 free with a 4th place finish in 3:44.01. He is a 1:43/3:42 talent, but it will take a monumental effort for him to tap into that potential over the next two years. The most interesting part of his schedule next week is the 200 IM. Dwyer has always flirted with this event, but never really had a true breakthrough performance. 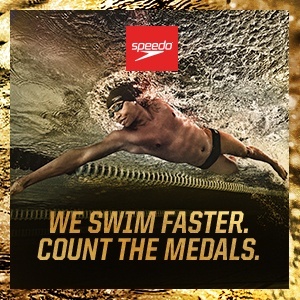 Without Michael Phelps in the picture, he qualified for the 2013 World Championships where he finished 10th with a 1:58.52 and the 2015 World Champs where he finished 5th with a 1:57.96. The question is, does he have what it takes to contend next week? Barring a peak Ryan Lochte performance or Caeleb Dressel deciding to swim it right before the 50 free, reigning World Champ Chase Kalisz has the top spot all-but-locked. After that, there are a handful of guys in the 1:56-1:58 range with Abrahm DeVine, Josh Prenot, and Gunnar Bentz among others. 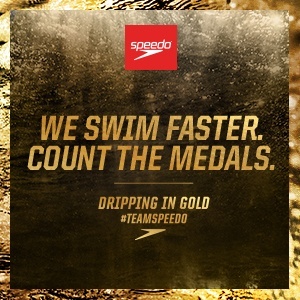 With Lochte in the picture and a Dressel sighting looming, the odds aren’t in Dwyer’s favor. Never say never, though. His best time is 1:57.41 set back in 2014. I like the long game. Hopefully he does just enough to stay in the game before really buckling down for 2020 Trials. A lighter training schedule in the middle of the quad might not be a bad idea for a 29 year old. Lots of chances for injury if you grind too hard for four years. With the upcoming crop of young guys, he’s gonna have his work cut out for him, but he has definitely been a great asset for the US in the past and will probably continue to do so for a few more years. No way he is beating Pieroni who is excellent this year …. He is a 1:43/3:42 talent? Those are some hefty drops…. Having the talent to do something and actually doing it are two completely different things. 1:43.9 is a big drop from 1:45.2, but not impossible. He was 3:43.4 in prelims of the 400 in Rio, so 3:42 is (was) possible. Doubt he will get back down to that. Regardless, I don’t ever think we have seen Dwyer at his full potential. Agreed. He was great in Rio, why are we so sure he’s got THAT much more in the tank?